Red-D-Arc Welderentals specialises in welding and welding-related rental products and services. Red-D-Arc supplies an extensive inventory of welding-related equipment, including semi-automatic and automatic MIG wire feeders, plasma cutters, welding fume smoke extractors, submerged arc wire feeders, air carbon arc gouging equipment and welding electrode and flux-holding ovens, as well as pipe bevelers, dry ice blasting equipment, media blasting equipment and induction heating systems. Red-D-Arc has over 60,000 welding and welding-related rental products available worldwide, including electric and engine-driven welders for many different processes and applications. The company’s range of equipment, advice and performance are factors that encourage customers to keep choosing Red-D-Arc. Its cost-effective lease programme enables clients to acquire the latest welding equipment for their core fleet, without large upfront costs. Red-D-Arc provides welding automation products that are available for sale, lease and rent through its global distribution network, including welding positioners, manipulators, turning rolls, automated TIG cladding systems, growing lines and fit-up beds. The company’s standard line of welding automation products comes with UL / CSA and CE certification for electrical controls and operational capacities, which is a first in the weld automation industry. Red-D-Arc designs and builds complete turnkey weld automation packages. These can include integrated controls such as digital touchscreen interfaces and camera systems. The company’s team of engineers provides clients with weld process recommendations and equipment set-up for optimised reliability, functionality and productivity. Red-D-Arc supplies diesel, natural gas and hybrid bi-fuel engine-driven generators for rent, along with a range of generator accessories, portable power distribution panels and towable light towers for temporary jobsite electricity, power distribution and lighting needs. D&D Power, a Red-D-Arc subsidiary, is one of the leading power generation rental and service providers in the south-west US. The company provides rental power generation and light-tower equipment, including critical response services 24/7, 365 days a year. D&D Power has more than 40 service technicians covering the shale plays of Texas, Oklahoma and south-east New Mexico. Red-D-Arc’s equipment catalogue includes specialised welding-related products, including plasma cutters, smoke extractors, electrode ovens, flux holding ovens, gas cylinder cages, heat-treating systems, mobile welder certification trailers, compressors, oxy-fuel cutting equipment, air carbon arc gouging (CAC-A) equipment, pipe bevelers and blast cleaning equipment. Induction heating systems (IHS) are available for rent, lease and sale. The technology uses uses non-contact heating to induce heat electromagnetically rather than flame or resistance, resulting in a faster, safer and more localised heat treating process. Red-D-Arc also offers cold jet-dry ice blasting and farrow media blasting equipment for rent, lease and sale, providing environmentally sustainable cleaning and advanced surface preparation. In order to keep its rental fleet up-to-date with the latest equipment, Red-D-Arc makes a selection of its existing inventory available for purchase. This offers a unique opportunity to purchase high-end welding equipment at substantial discounts. The equipment is renowned for its durability and reliability. Red-D-Arc technicians maintain all of its machinery on an ongoing basis and clients can browse the used equipment website to view a real-time inventory. Red-D-Arc is an authorised dealer for several computer numerical control (CNC) plasma and oxyfuel cutting equipment manufacturers. It specialises in sales, repair, service and integration with more than 20 years of combined experience. Additional services include CNC cutting table retrofit, training, spare parts, consumables and 24/7 support throughout the US. Red-D-Arc’s sales engineers find the best equipment for clients’ requirements. The company’s factory-trained technicians are authorised to perform warranty repairs and service and equipment set-up, as well as preventative maintenance. Award-winning safety. The largest in-house Research, Development and Engineering Department. Red-D-Arc supplies diesel, natural gas and hybrid bi-fuel engine-driven generators for rent, as well as a full line of generator accessories, portable power distribution panels and towable light towers. In order to keep its rental fleet up-to-date with the latest equipment, Red-D-Arc makes a selection of its existing inventory available for purchase. Equipment diversity sets Red-D-Arc apart in the industry. 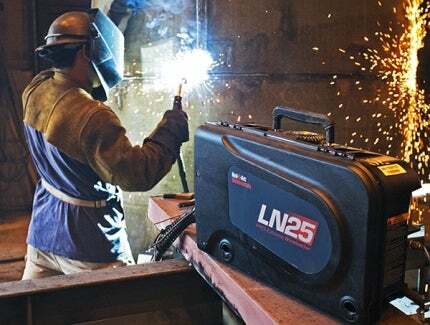 When clients require equipment found outside the typical welding equipment catalogue, the company offers a list of welding-related speciality equipment. The Red-D-Arc line of welding positioners, manipulators, turning rolls, automated TIG cladding systems, growing lines, fit-up beds and other weld automation products are available for sale, lease and rent through Red-D-Arc's global distribution network. Red-D-Arc has electric and engine-driven welders for any process and application, a complete line of weld automation equipment, welding-related speciality equipment, electric power generators and power distribution products. This brochure, published by Red-D-Arc Welderentals presents the company's comprehensive range of power generation products and services. Airgas, one of the nation's leading suppliers of industrial, medical, and specialty gases, announced today that Red-D-Arc Welderentals, an Airgas company, has acquired the assets and operations of eKipro Rentals and Grupo Industrial Daymaga, known collectively as 'eKipro'.